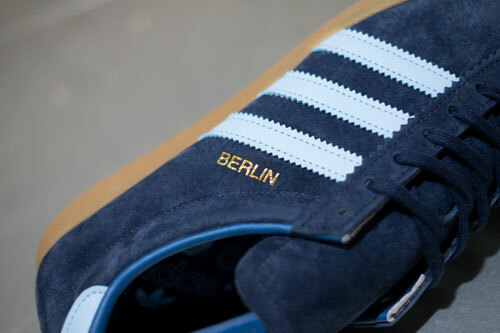 Another City Series classic is being reintroduced – the Adidas Berlin OG trainers. But there is a subtle difference. You might have noticed it. Yes, that gold branding. 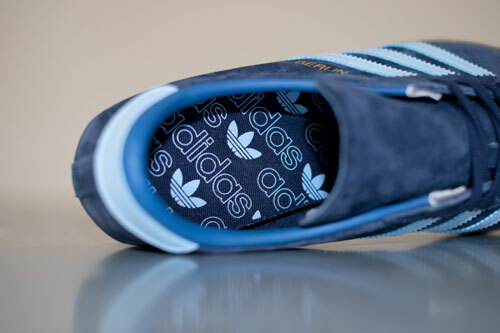 Back in the day (that day being the 1970s), the original sample version so this shoe had the gold branding printed upside down. So in tribute to that, the reissue goes down the same road. 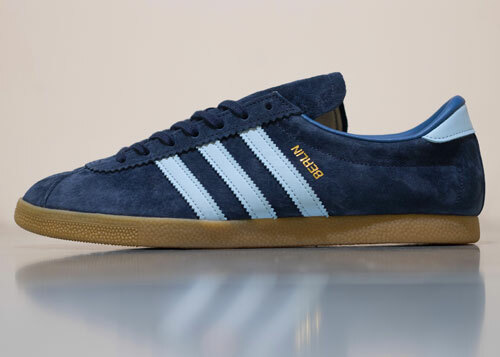 Outside of that, this is the much-loved City Series shoe, matched up dark blue suede with lighter blue serrated stripes and heel, as well as the trademark gum sole. 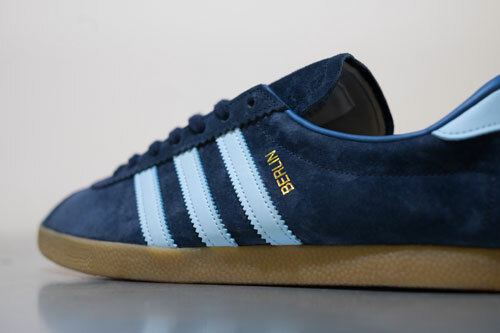 The Adidas Berlin OG shoes will be a limited edition reissue, but one that should be at most of the main Adidas retailers in those small numbers. Try End Clothing on Thursday 1st February and expect to pay £85.